Ann Revell-Pechar believes in the power of storytelling. For more than 30 years she has positioned products and companies to their greatest reputation, guiding brands that included tech giants like Alcatel-Lucent and innovators like F5. She was agency of record for leading venture capitalists New Enterprise Associates and Greenspring Associates and currently serves Zoic Capital. Having been integral in the market introduction of more than 200 products, Ann understands how to capture the imagination of the audiences those companies need to reach. 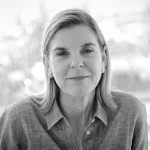 She co-founded Reed Revell-Pechar Advertising and Public Relations in Seattle in 1993, and ultimately built a 44-person team that built reputations for tech startups like Aventail and NetNanny, and publishers Windows Magazine, PCMagazine and PCWorld. Most recently Ann has been developing strategies that secure reputations for companies in entrepreneurship, IoT and machine learning, medical technology, biotechnology and finance. She consulted to the North Carolina Technology Association, the Council for Entrepreneurial Development and multiple growth startups. Her passion is to clearly and persuasively communicate a company’s value, connecting audiences to the offerings through storytelling – a talent developed during her undergrad studies as a theatre major at Seattle Pacific University. A favorite recent endeavor was being Executive Producer of TEDx Airlie in Wilmington. She puts her Master of Public Administration degree to work as Chair of the Cape Fear Economic Development Council, and as founding board member of Cape Fear Women in Tech.